Home / Essays. / History / Honours 2nd Year / "Beowulf" : a short survey of story and background. 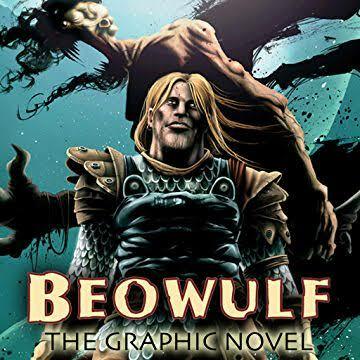 "Beowulf" : a short survey of story and background. the folk-tale heroes, who have been suckled by a wild beast and imbibed strength from that. The poem has remarkable literacy qualities which lift it to the level of an epic. The poem is written with a long line. The lines do not rhyme, but each line has alliteration and the poet has a special and extensive vocabulary. The description of Beowulf's fight with Grendel has a Homeric vigour. The description of the marshes in which Grendel's mother dwells is said to be the most famous passage in the poem. A sombre imagination and the sadness of the northern landscape have united to paint this powerful picture. The scenic background is like that in Hardy's novels. Nature here is bleak and sinister, rough and rugged. The view of life is equally gloomy though the poem is glorification of prowess and adventure. There is no joy and no tenderness to relieve the gloom. The hero has been depicted with great imagination and insight and made vital. His loyalty and dauntless courage, his courtesy and respect for ladies foreshadow the later chivalry. He is, as it were, the knight-errant before the days of chivalry. The style too has a great dignity throughout. As a picture of the social life of a primitive age, it has a great historical significance. The splendour and the banquets and revelries in the court are drawn with realism. Life of the common people, who eat and drink and sleep after day's labour, too receives the attention of the poet. Kingship. Women play a prominent part gracing feasts in ceremonies with their presence. They often show political wisdom. Courage and loyalty are the chief virtues of men. note pervades the poem. At the moment of Beowulf supreme triumph, Hrothgar discourses on human vanity and the inexorability of fate.